This book is the sixth edition of a classic text that was first published in 1950 in the former Soviet Union. The clear presentation of the subject and extensive applications supported with real data helped establish the book as a standard for the field. To date, it has been published into more that ten languages and has gone through five editions. The sixth edition is a major revision over the fifth. It contains new material and results on the Local Limit Theorem, the Integral Law of Large Numbers, and Characteristic Functions. 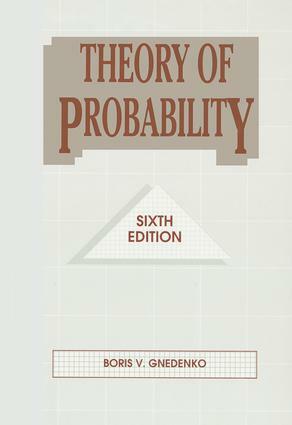 The new edition retains the feature of developing the subject from intuitive concepts and demonstrating techniques and theory through large numbers of examples. The author has, for the first time, included a brief history of probability and its development. Exercise problems and examples have been revised and new ones added.